A three-bedroomed mid terraced property briefly comprising of two reception rooms, a fitted kitchen, ground floor bathroom & paved garden. The property benefits from gas central heating and double glazing. 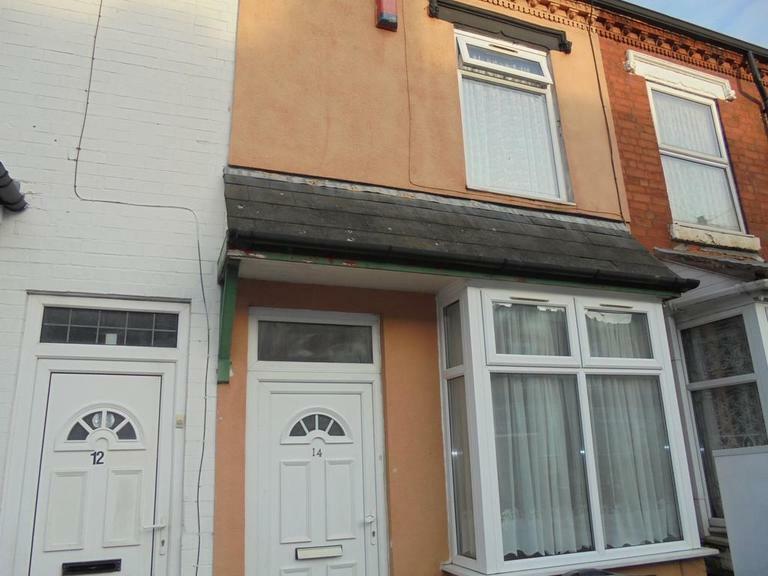 This property is located close to local shops, schools and other local amenities. Paved front garden leads to UPVC part glazed door which opens into reception one. Benefiting from double glazed bay window to front elevation, gas central heating radiator, laminate flooring and an ornamental brick fire surround. Benefiting from double glazed window to rear elevation and gas central heating radiator. Kitchen - 8'6" x 6'2"
Benefiting from double glazed window to the side elevation, a range of fitted wall and base units with work surfaces over, drawer unit, cooker recess, inset stainless steel sink unit and drainer and gas central heating radiator, UPVC double glazed door to side elevation leading to rear garden. Benefiting from a white ceramic three piece bathroom suite comprising of a paneled bath, pedestal hand wash basin and low level WC, a radiator and UPVC double glazed window to the side elevation. Benefiting from double glazed window to front elevation and gas central heating radiator. Benefiting from double glazed window to rear elevation, gas central heating radiator and original built-in storage cupboard. Benefiting from UPVC double glazed window to rear elevation and gas central heating radiator. Rear Garage - 16' 1" x 13' 4"
Rear Garden - fully paved and fenced to boundaries.